Free Waka Waka piano sheet music is provided for you. 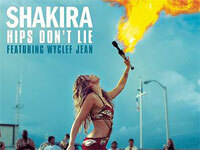 Waka Waka is a song by Colombian singer-songwriterShakira featuring South African band Freshlyground. Free Chantaje piano sheet music is provided for you. Chantaje is a song by Colombian singer Shakira. Free Nada piano sheet music is provided for you. Nada is a song by Colombian singer Shakira. Free La Bicicleta piano sheet music is provided for you. 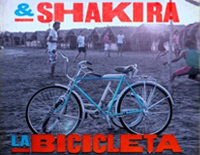 La Bicicleta is a song by Colombian singers Carlos Vives and Shakira from Vives' upcoming fifth studio album Vives.